Electrike in game: 7,622 Who? Important notice! Pokemon Electrike is a fictional character of humans. Electrike (Japanese: ラクライ Rakurai) is an Electric-type Pokémon introduced in Generation III. It evolves into Manectric starting at level 26. 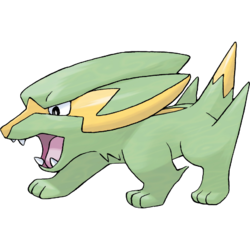 Electrike is a green, canine Pokémon with yellow markings. It has a large head crest with angular, lightning-like markings on the side. Its snout has a yellow blaze, and four fangs are discernible when its mouth is open. It has a yellow stripe down its back. Each of its four legs has a spike, with the ones on its hind legs being longer. It has yellow crescent-shaped paw pads on its front feet, while the pads on its hind feet are circular. It has a small, pointed, yellow-tipped tail. Using the electric charge found in its fur, Electrike stimulates its leg muscles and runs faster than the human eye can follow. It uses friction from the atmosphere to generate electricity. Because of this, its body gives off showers of sparks in seasons with arid air or before a storm. As shown in the anime, using metal brushes to groom the Electrike will cause the metal to conduct the electrical charge in the fur and subsequently shock the handler. It lives in grassy areas. Electrike first appeared in the main series in Watt's with Wattson? After Wattson was easily defeated by Ash Ketchum during the Gym Match, Wattson needed some time alone. During this, an Electrike came to comfort the Mauville City Gym Leader. Wattson decided to keep the electrical canine as one of his own Pokémon. Electrike also appeared in The Electrike Company! under the ownership of Jaco. Though Jaco thought that Electrike wasn't that strong and wouldn't pass a test, Ash and friends helped Electrike control its power, resulting in it evolving into a Manectric. Five Electrike appeared in Arceus and the Jewel of Life under the ownership of Damos. Electrike made its debut in Jirachi: Wish Maker. One was seen with its owner in the opening of the film while another was a wild Pokémon that lived in Forina. An Electrike appeared in the opening of Lucario and the Mystery of Mew. A wild Electrike appeared in Camping It Up! An Electrike appeared in SS027. An Electrike appeared in A Campus Reunion!. Multiple Electrike appeared in The Future Is Now, Thanks to Determination!. DP042 Electrike Dawn's Pokédex Electrike, the Lightning Pokémon. Using the electric charge stored in its fur, it can run faster than the eye can follow. In the Ruby & Sapphire chapter, Wattson owned an Electrike, which later evolved into a Manectric. In the X & Y chapter, Multiple Electrike were among the Electric-type Pokémon that charges the Prism Tower during a blackout in Pangoro Poses a Problem. One of these Electrike that supplied power to the Prism Tower witnessed X activate a Mega Evolution during a battle inside the Tower itself. He then followed X's group and evolved into a Manectric shortly before joining X's team, being named Élec. Wattson owned an Electrike in Pokémon Ruby-Sapphire. In the manga adaption of Arceus and the Jewel of Life, Marcus owned an Electrike and along with his other Pokémon, he used it to attack Arceus. Electrike stores electricity in its long body hair. This Pokémon stimulates its leg muscles with electric charges. These jolts of power give its legs explosive acceleration performance. Electrike runs faster than the human eye can follow. 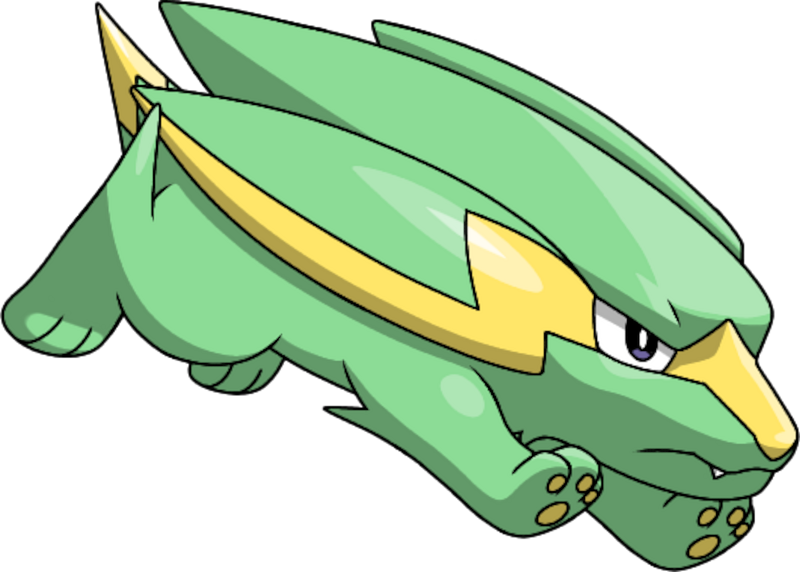 The friction from running is converted into electricity, which is then stored in this Pokémon's fur. It generates electricity using friction from the atmosphere. In seasons with especially arid air, its entire body blazes with violent showers of sparks. It stores electricity in its fur. It gives off sparks from all over its body in seasons when the air is dry. Electrike runs faster than the human eye can follow. The friction from running is converted into electricity, which is then stored in this Pokémon’s fur. 51%-100% HP My body hair stores static electricity. Level up I leveled up! Watch the sparks fly! Electrike shoots electricity all over. It can also recharge the Styler. It composes waves of electricity around it that make Pokémon Stopped. 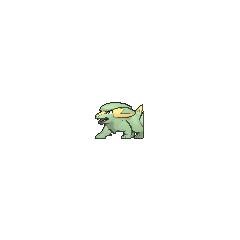 For other sprites and images, please see Electrike images on the Bulbagarden Archives. Electrike shares its category with Jolteon in the English translation. They are both known as the Lightning Pokémon. Electrike may be based on a maned wolf pup and a yōkai of Japanese lore, the 雷獣 Raijū, an elemental lightning creature that can take on the shape of various mammals. Electrike may be a combination of electric and strike. Rakurai literally means 落雷 (bolt of lightning). Mandarin Chinese 落雷獸 / 落雷兽 Luòléishòu From the Japanese 落雷 rakurai and 雷獣 raijū.